Release: Project Reality: BF2 v1.5 Released! Re: Project Reality: BF2 v1.5 Released! I'm having an issue when trying to join HOG Mixed Maps server. 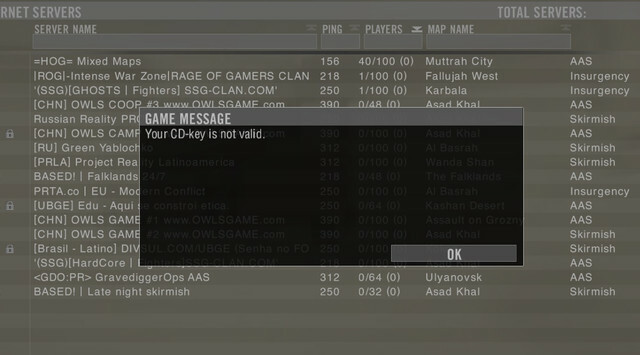 I have an error about "Invalid CD Key". Any fix about this? Thanks! "So you want to live forever huh? And why in the name of the Allmighty are you here!?" Find More Posts by Sergeant.Roland. Great Job Devs! the Polish forces look incredible, Kowalski would be proud! !